Salut, and welcome to our lesson about French relative pronouns at Language Easy! Indeed, they are a part of French grammar that sooner or later you will have to master if you want to speak Fluently. 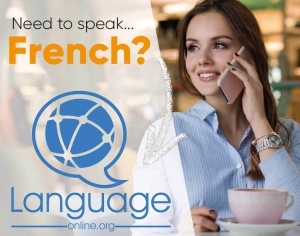 The good news is that it’s not that complicated, if you understand well how they work, rapidly you’ll increase your French skills. What are the French relative pronouns ? Que sont les pronoms relatifs ? Relative pronouns (les pronoms relatifs) introduce a relation between two propositions, i.e. two parts of the sentence. The relation is of explanation : the two propositions actually could be two different sentences, but they are put together with a relative pronoun because the second one explains the first one. J’ai vu un homme, lequel homme est grand → J’ai vu un homme qui est grand. I saw a man who is tall. But it’s better that you think of it in terms of relation. In our example, the second part of the sentence is related with the first part of the sentence because it’s explaining why we are talking about this man at all. This proposition “qui est grand” is called relative subordinated proposition (proposition subordonnée relative). The simple relative pronouns, which are invariabe : qui, que, quoi, dont, où. Qui is used when it is the subject of the subordinated proposition. It can apply to both people or things. She’s a woman who is pretty. The party that is coming will be good! Alternatively, it can be also be used when it is an indirect object complement (COI), e.g. as an object complement with a preposition, when referring to a person. Note that he preposition is always preserved. I´m talking to this woman → This is the woman (whom) I’m talking to. The pronoun que is used when it replaces an attribute or a direct object complement (COD) of a verb. I built this house →This is the house that I built. I´m a doctor → The doctor that I am is telling you to rest. We can also say that quoi is the form that que takes when it is preceded by a preposition. You need something→ What do you need ? You´re living for money→ Tell me what you’re living for. This extraordinary garden through which I’m often crossing. Dont is used to express an indirect relation, e.g. the thing we are talking about is not the referent itself. Instead, it can be one of its possessions, characteristics, a manner, a means… In other words, we can say that it replaces a complement introduced by the preposition de. The culture which my country is proud of. Dont can be also used when it is an indirect object complement (COI) introduced with the preposition de, as an alternative to the pronoun qui. I love the girl (whom) I’m talking about. However, the use of the pronoun dont is more usual. Où is used to give any kind of indication of a place (or sometimes, of a moment in time). It replaces geographical and temporal complements. Je suis allé à cat endroit → L´endroit où je suis allé. I was at that place → The place where I was. Tu te rappelles sûrement l’année où tu as eu ton BAC ? You certainly remember the year (when) you graduated? To put it simply, the compound French relative pronoun lequel (along with auquel, duquel and all their variations in gender and in number) is an alternative to the pronouns qui / que / quoi. It is generally used when the referent is something that is defined and that we oppose to the rest of the objects or persons of the same category. Mon chien est noir → j’ai un chien qui est noir. / j’ai un chien, lequel est noir. My dog is black → I have a dog that is black. Tu travailles pour ton patron → L’homme pour qui tu travailles. / L’homme pour lequel tu travailles. You work for your boss → The man for whom you work. However, if the pronoun is a COI and the referent is not a person, then it is mandatory to use the compound pronoun. Tu chantes pour le concert. → Le concert pour quoi pour lequel tu chantes. You sing for the concert → The concert for which you sing. The pronoun Lequel must agree in number and gender with its referent. Also, it is contracted as auquel when used with the preposition à, and duquel when used with the preposition de. Think of lequel like the contraction of the article le with the adjective quel. In the light of this, you can make the agreements separately in your head, and then join them again into one word : for example, la+quelle = laquelle. Additionally, remember that the article le has two contracted forms when before the preposition à (à+le = au) or de (de+le = du, de+les = des), and you’ll have it completely covered. Je tiens à ma chatte → j’ai une chatte à qui je tiens beaucoup. / j’ai une chatte à laquelle je tiens beaucoup. I have a cat to which I’m very attached. Tu es fan de ces acteurs → Les acteurs de qui tu es fan. / Lees acteurs desquel tu es fan. The actors of whom you’re a fan. Et voilà, we reached the end of our lessons about French relative pronouns.